For business or pleasure, this high-quality and easy-to-use XGA , 4.000 -lumen Business projector works equally well at education environments or in the Meeting room . An XGA, 4.000 Lumens LCD Education Projector with a vast range of adjustment, and BrightEra for higher quality colour and a longer lifespan. Thanks to this bright and vivid XGA projector, you can enhance every lesson with a large and scalable screen size. Long lasting and hassle-free, this model offers up to 10 years' worth of lessons before a replacement lamp is required or the air filter needs attention1. It's easy to set up and offers a range of connectivity solutions, so you can quickly access content from multiple devices. 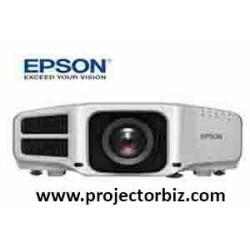 With this XGA projector content will be bright, vivid and clear ensuring that everyone can engage with the lesson. Providing excellent visibility, this projector is scalable up to 300 inches and is bright even in high ambient lighting conditions. It’s all thanks to the high 4,000-lumen output and 15,000:1 contrast ratio. When resources are limited, our reliable projectors and long-lasting lamps help to eliminate downtime and unnecessary service costs. Imagine what you could achieve with minimal interruptions - our projectors help to make that a reality with up to 10 years’ worth of lessons before a replacement lamp is required or the air filter needs attention1. Every classroom is different so you need a projector that is simple to set up and position. With our wide 1.6x optical zoom and vertical/horizontal keystone correction, it's easy to get up and running quickly. Capture your students' attention and nurture a collaborative environment with hassle-free connectivity solutions. With the iProjection app, it’s easy to display content from PCs and smart devices2. The split-screen function can be utilised to show content from multiple devices simultaneously, while the moderator function lets you review content before it is displayed. 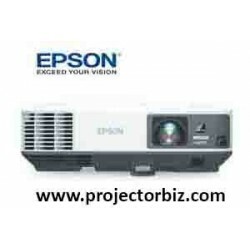 You can buy EPSON EB-970 online in Malaysia on www.projectorbiz.com, the best price and after sales services.